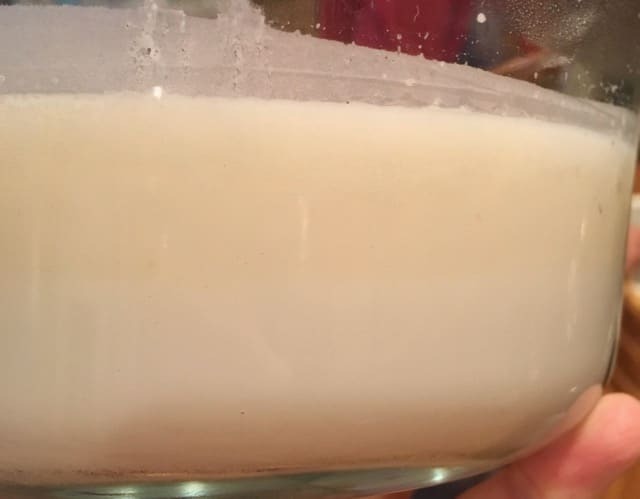 Traditional Healthy Fats – Pastured Pork Lard! Well I’m feeling very much the pioneering, homesteader today as I finally got up the gumption to attempt rendering lard! Of course, I would only use fat from a fully pastured, naturally-fed and housed animal. Aside from the humane issues, fat is the storehouse of hormones and toxins. The farm I ordered from not only keeps their pigs outside, but if any supplemental feed is needed, they make sure it does not contain soy (which is truly unique these days) and is certified organic. Off topic, but here’s another interesting tidbit: Did you know that when chickens are fed soy, the soy protein shows up in their eggs too? That’s why Sumas Mountain Farms (where I ordered from) does not feed their chickens soy either. Anyway, I ordered the Leaf Fat from around the pig’s kidneys, which is the cleanest, highest grade fat – if you’re using it to make pastries, this is the one you want to get. I actually have NO idea what I’ll be doing with my lard, but I figured I’d start with the cleanest because it will also have the least smell. Apparently, if you’re rendering a large amount of lard, or using the other types of fat, many people do it outside, or in their garage. If you’ve ever made fish-head broth, you know what I’m talking about!! Many of these traditional foods have a pungent smell during the cooking process. Since I was only experimenting with a small amount, I just used my crock pot on my kitchen counter. With the range hood fan on low it was just fine. After searching a number of different recipes/instructions for rendering pork lard, I decided that this one from My Humble Kitchen inspired the most confidence in me and so I followed her instructions. Hey, but that’s the learning curve right? Many people noted that their crock pot couldn’t be set at a low enough heat to avoid crisping/over-cooking the cracklings, so they chose to render their lard on their stovetop in a saucepan, or double-boiler. Although I have to say, if I was doing a larger batch, or using a less clean fat, I would want to do it on a hot plate outside, or a crockpot in my garage – as I’m sure the smell would be an issue. And yes, the smell is yummy at first, but after an hour or two, and realizing that fat-carried odors will cling to everything in your house… you get the picture. 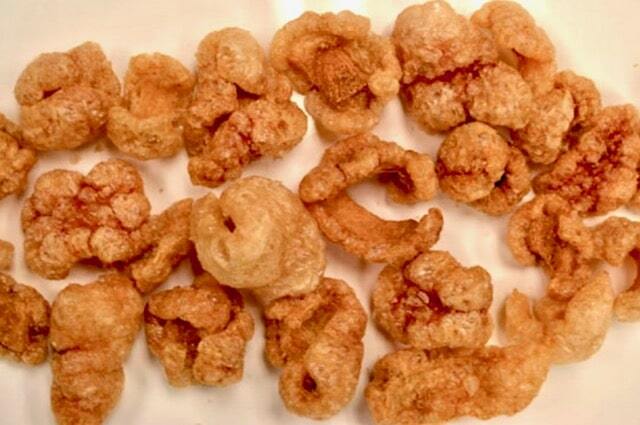 An unexpected bonus from this experiment was the pork cracklings! Now I am a person/body type that needs a LOT of good fats. If all I ate was animal fats, cold-pressed oils and veggies, my body would be perfectly happy. So I have had a bacon fetish my whole life, BUT I pretty much only eat the fat. I can’t tell you the ecstasy that ensues in my body when I eat bacon fat. Well lo and behold my surprise, as I realized that pork cracklings (the leftovers from rendering lard) are very much like tiny morsels of bacon fat!! Seriously, just add salt and they are heaven on earth. I may have to get in the habit of rendering lard just for the cracklings! However, they are also so rich that I couldn’t eat more than a tablespoon at a time. 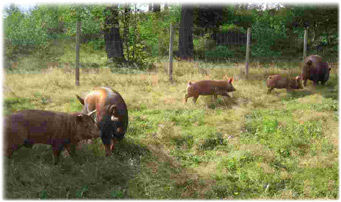 To find a grass-fed meat or lard supplier in your area, start here at Eat Wild. Or you can shop online here at White Oak Pastures. Hi Jini – I appreciate this article and am relieved to read about the fats – am curious how you found out about that your body would be just happy eating only fats; what resources do you recommend to read up on that? Hi Stefan, I did not say ONLY fats 🙂 My body likes veggies too! I have discovered this solely through testing different ways of eating and listening to my body. I also do a lot of physical labor (I have 5 horses) so my body needs strength and endurance. If someone just sat at a desk all day and did an hour of exercise 3x/week, their body might have different requirements. I don’t listen much to food fads or the latest dietary religion; I simply ask my body what it wants/needs (NOT my tastebuds!) and I see how it responds to different ways of eating. I live in LA, CA. The farm does not seem to deliver to where I live. Do you know of a farm that creates similar high quality meat and chicken products in California? Jini, i have a question regarding probiotics. Unfortunately i live in Germany and the Natren probiotics aren´t avaiable here, and furthermore they are very very expensive. Can you recommend a good, less costly alternative? What do you think about drinking raw kefir in the morning and in the evening, as replacement for the probiotics? Hope it works out well for you. Please let us know if we can help with anything else.